The San Rafael Wildfire Prevention and Protection Action Plan outlines various goals to proactively and aggressively address the growing risks associated with wildfire. 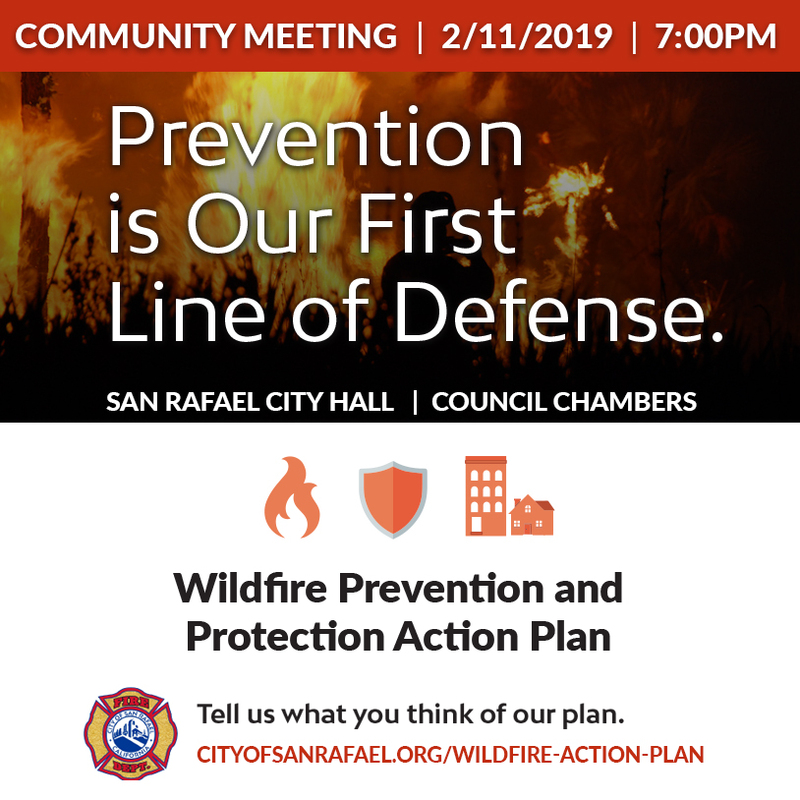 The draft Plan was presented to San Rafael City Council on January 22nd, 2019 by San Rafael Fire Chief Chris Gray and Emergency Manager Quinn Gardner. An updated plan, including community feedback, will be brought to the City Council in March.